This past weekend, my best friend Keri came to Tampa for a visit. 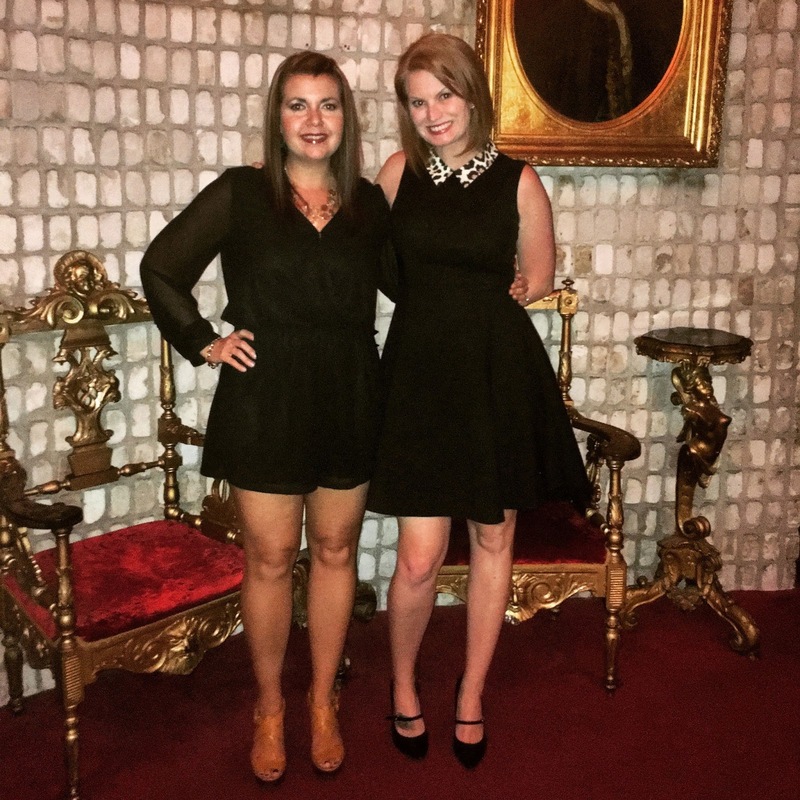 We had a chance to visit Epicurean for a girls day and had a delicious pampered afternoon. For those not familiar with Epicurean, it is an upscale boutique hotel with a focus on fine dining. Partnered with the legendary Bern's Steak House, which is located across the street, Epicurean combines a love of great food and wine with an equally strong desire to create lasting memories for all who pass through their doors. Keri and I kicked off our girls day at Epicurean with a visit to Spa Evangeline. Upon entering the doors, we knew this was a spa that spoke our language as the wall was made of wine corks and displays were made from wine barrels. Welcome home girls! The spa offerings at Evangeline are themed around wine and food. Everything from chocolate, to Cabernet, Spa Evangeline is keeping trend with Epicurean's foodie paradise theme. Vortex-Peel™ Glysal serum, a mixture of Glycolic and Salicylic Acids delivers the benefits of a peel without post-peel scaling. Vortex-Extraction™: Patented, painless vortex-suction cleans out pores with the help of Beta-HD™ serum. Vortex-Fusion™:Antiox+™ serum is delivered to nourish and protect skin with Antioxidants, Peptides and Hyaluronic Acid. After our 30 minute procedure, we received a Jane Iredate makeup application before heading to brunch at Elevage. This was an all natural line of cosmetics that helped hide the redness of my skin. Keri and I have completely different skin types, I am fair and dry while she has an olive skin tone and is oily. It was amazing coming out of the same procedure that I turned red and she looked glowing. The makeup hid the redness and my skin was back to normal color after a few hours. The following day, both Keri and I noticed a major difference in our skin. My skin was noticeably hydrated and Keri got away without having to wear any makeup. 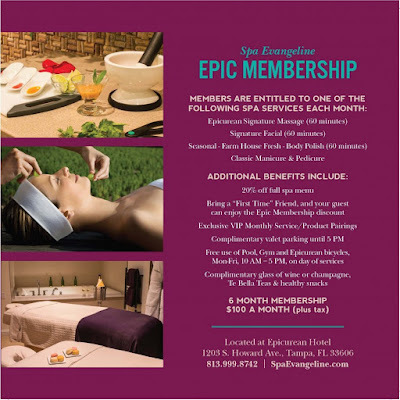 You also get 20% off the full spa menu, access to VIP treatments, use of Epicurean's pool, gym and bicycles on the day of service. 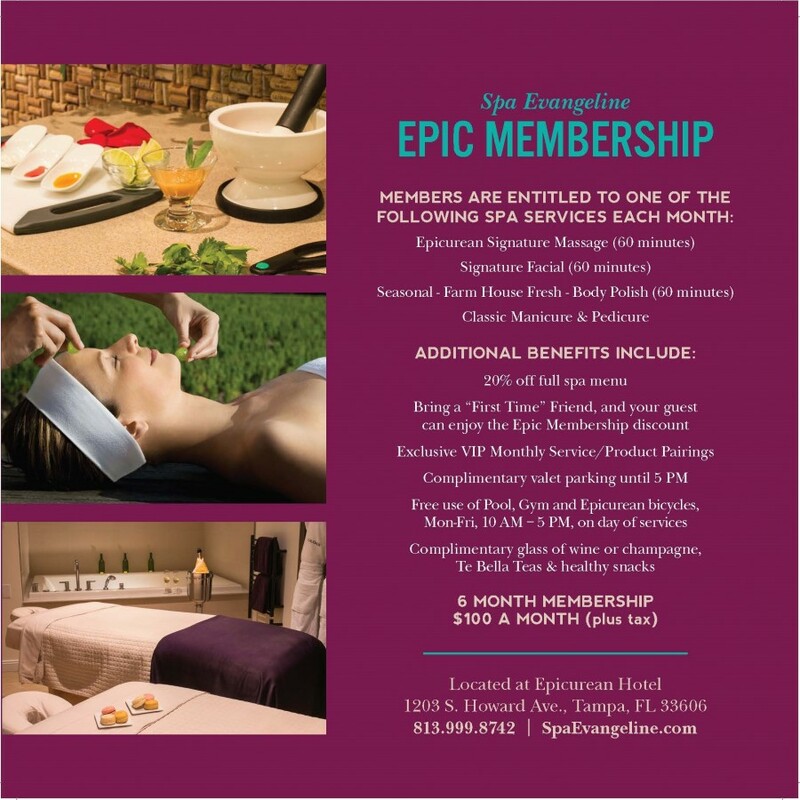 Lastly, Spa Evangeline offers an Executive Happy Hour, a series of 15-30 minute treatments Monday - Thursday. The prices range $30-$65 with everything from Manicures to Massages. Plus you will receive a complementary glass of wine or champagne, or Makers Mark. 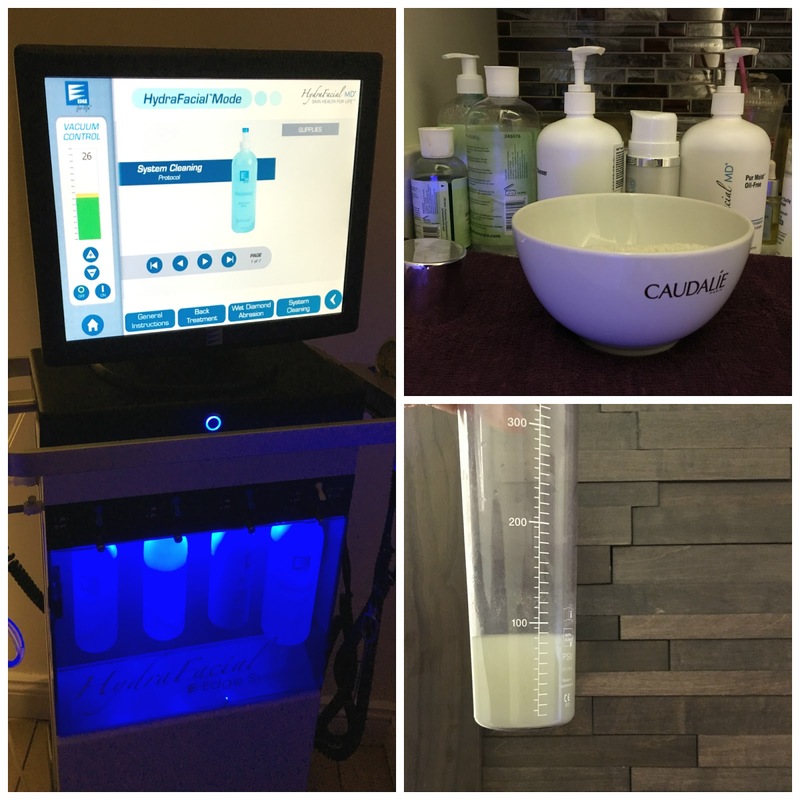 You can check out Spa Evangeline's full spa menu by clicking here. Later that night, Keri and I went across the street and had dinner at Bern's Steakhouse. It is a tradition of ours every time she visits. Whenever we dine at Bern's, we eat at the bar and take our chances of not having reservations. In fact, over the 20+ times I have dined at Bern's, I have only sat in the dining room once! I guess I am a Bern's Bar Fly. Keri and I got to Bern's around 9:00 and only waited 10 minutes for a seat. Our meal and wine were delicious as always! We also got many nice compliments on facebook about how young we looked in the above photo. It must have been the facial!